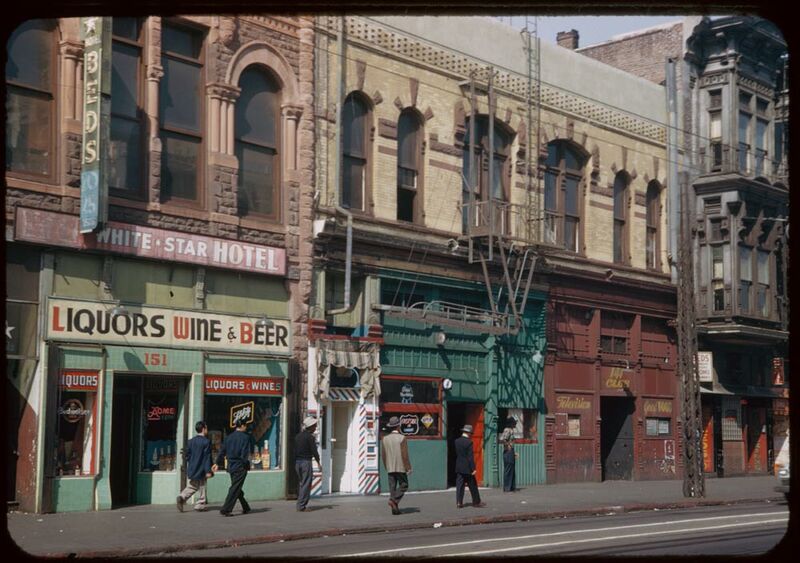 3rd Avenue and Grand Street, Bunker Hill, 1952. Cushman Collection. 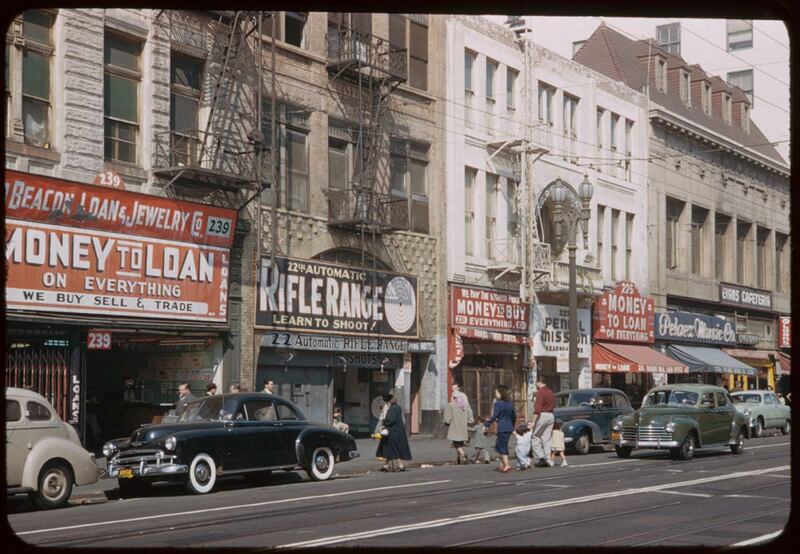 Main Street, Los Angeles 1952. Cushman Collection. 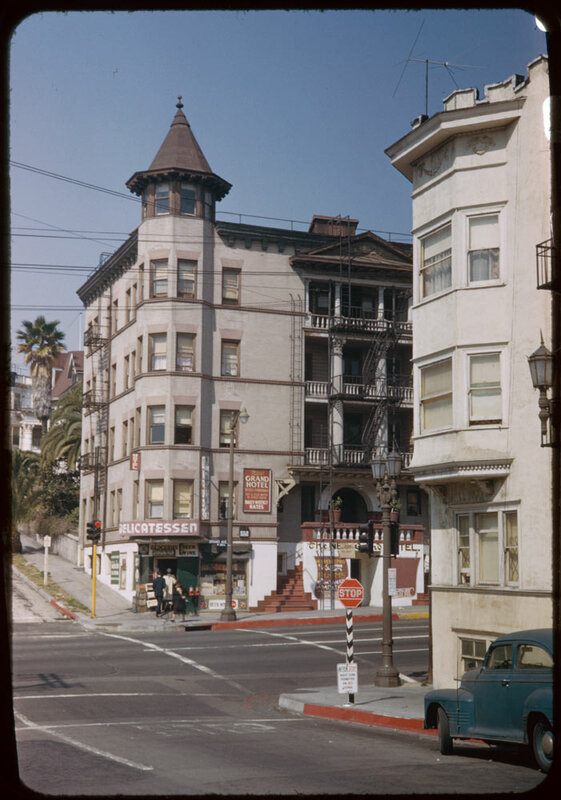 Charles Cushman, businessman and talented photographer, meticulously documented his travels, offering us time-capsule glimpses of locations worldwide from the late 1930s up to the mid-1960s. 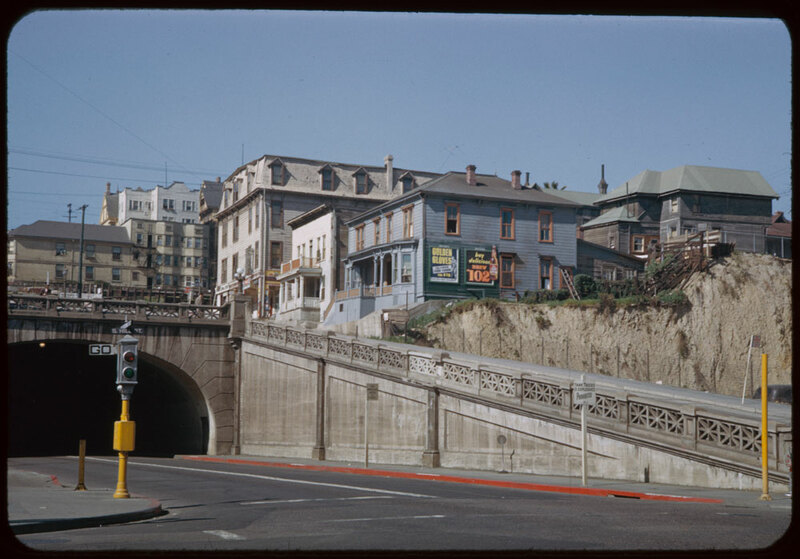 He bequeathed 14,500 Kodachrome negatives to his alma mater Indiana University upon his death in 1972. You can view the entire archive here, courtesy of the Indiana University Digital Libraries Program. 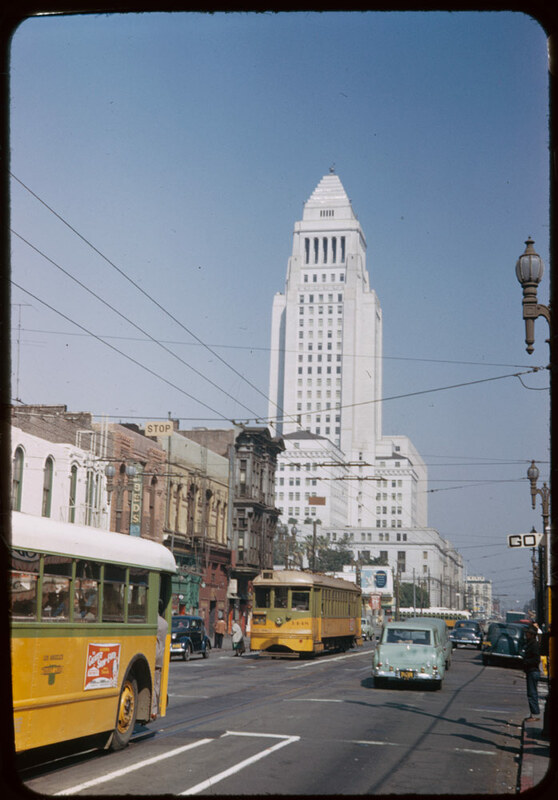 His photographs of Los Angeles can be seen here. (texashistory.unt.edu/ark:/67531/metapth1034587/m1/1/?q=circle%20dallas: accessed November 16, 2018), University of North Texas Libraries, The Portal to Texas History, texashistory.unt.edu; crediting UNT Media Library.